The UK could be losing out on 800m meals from 'hidden food' which could help 5.8m people living in 'deep poverty', according to food redistribution charity FareShare. The charity already provides over 12m meals from this 'hidden food' source to tackle food hunger. 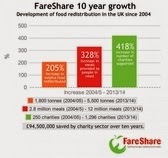 FareShare which celebrates its' 10th anniversary as an independent organisation this year, tackles food poverty through redistributing food surplus (within the food and drink industry) to charities. It estimates that up to 400,000 tonnes of this food surplus is edible and in date and could provide 800m meals; equivalent to 13 meals per person in the UK. Lovers of craft ales and ciders are expected to flock to two festivals being held in the North East next month. 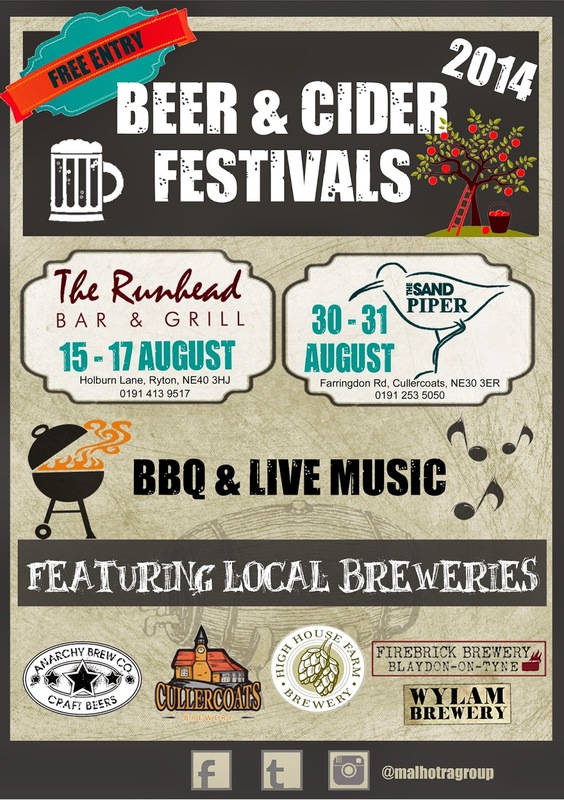 Over two weekends in August, customers at The Runhead Bar and Grill, Holburn Lane, Ryton and the Sandpiper, Farringdon Road, Cullercoats, will be able to sample a wide range of real ales and ciders from the region's finest craft breweries. Newcastle-based Malhotra Group, which owns the venues, hopes they will become annual events. The Group has joined forces with Wylam and Cullercoats breweries; Firebrick Brewery, at Blaydon; Anarchy Brew Co, Morpeth and Matfen-based High House Farm Brewery, each of which will be showcasing three ales at each festival. Cake Cetera, an online cake delivery company based in Glasgow, was founded after owner Pauline Quigley's mum died of cancer. She was shocked to find that flowers were banned from the wards and found most people brought in cake instead and so Cake-Cetera was born. Pauline, a former clothing designer, has spent 3 years developing unique packaging which safely transports cake by courier throughout the UK. Cake Cetera's range includes a range of cupcake bouquets, french macarons, giant doughnuts and their latest product...the cake push pop! 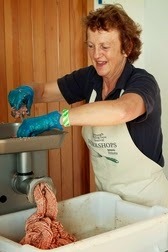 Pauline said "We are so excited to extend our deliveries throughout the UK. We have spent so long ensuring our packaging is perfect yet gorgeous on arrival. "Our new product...the cake push pops have been flying out the door. The cake push pops contain layers of cake and buttercream topped with sprinkles and have been so popular for weddings and kids parties". A huge variety of over 70 events, including behind-the-scenes tours, farm and seaside walks, hands-on workshops, special dinners and much more, will be held throughout Suffolk. The Aldeburgh Food & Drink Festival Fringe runs for two weeks, from 27 September to 12 October, following the main Festival weekend 27-28 September. A diverse range of local producers, food businesses, pubs and restaurants, have signed up in their numbers to be involved, many of them having enjoyed the experience in previous years. Tea and the chance to take time out in tranquil surroundings are on offer at one of the North East’s top spas. Serenity Spa at Seaham Hall Hotel is offering full use of its facilities – including a crystal light sanarium, a black granite steam room and a 20m massage pool - followed by afternoon tea in its Ozone restaurant. 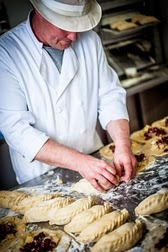 Dubbed the “revelation of the festival” in 2013 ‘Trevethick’s Pastys’ are sending 6,000 of their pasties with local catering company Downright Delicious to Festival Interceltique in Lorient, Brittany, as part of the food and drink element of the Cornwall exhibition. The annual festival ,which runs from 1st – 10th August, celebrates multi-cultural Celtic nations including Cornwall, Scotland, Ireland, Wales, the Isle of Man, Galicia, Asturias and the Acadie region of North East Canada. With 600,000 visitors over 10 days the festival is a fantastic opportunity for Trevethick’s Pastys to reach with a new audience. 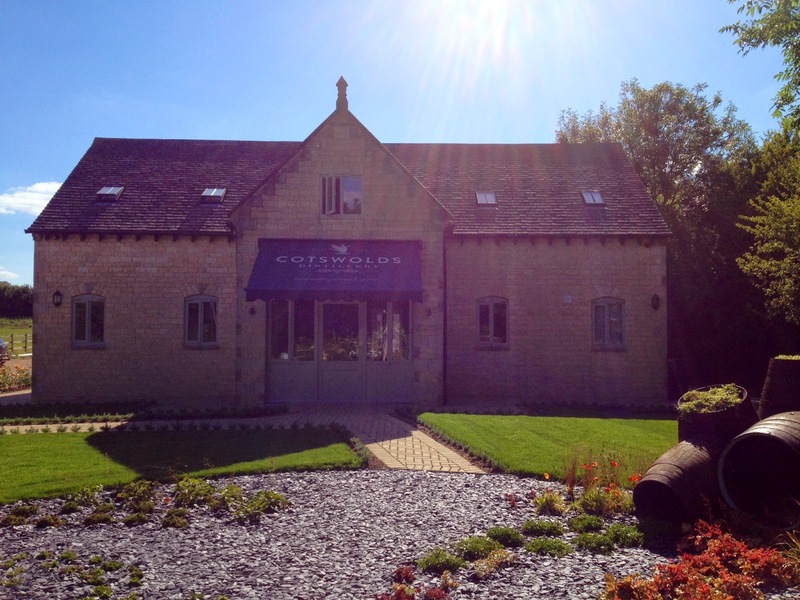 The initial focus at the Cotswolds Distillery is in the creation of their Cotswolds Dry Gin Inaugural Release (available from September, RRP £33/70cl bottle). 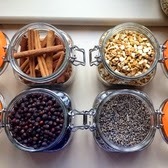 The distilling team, headed up by Alex Davies, have created a 151 strong and growing single-botanical distillate library (the largest of its kind on this scale) in order to help them with the recipe development needed to deduce final gin recipes. A former marketing manager of a FTSE 100 company has set her sights on building her own successful business by opening one of UK’s first cake pop shops. 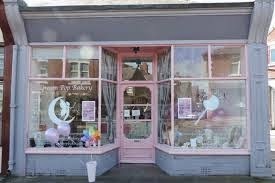 The newly opened Dream Pop Bakery in Monkseaton, North Tyneside, is the brainchild of Michelle Gibson, former marketing manager at Sage UK, who spotted a gap in the market for a new trend in confectionary. Cake pops – think lollipops made of cake – first gained popularity in America before making their way to the UK. Michelle’s shop on St Ronan’s Road, Monkseaton is one of the first dedicated cake pop shops to open in the UK and it’s already proving to be a success just two weeks after opening its doors. Michelle Gibson, founder of Dream Pop Bakery, said: “I remember baking with my grandma when I was young, it’s been a passion of mine ever since. 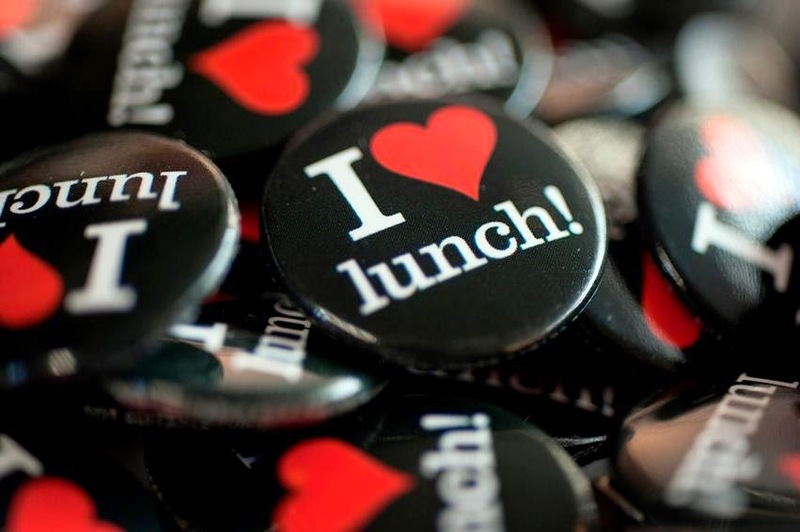 Eat Beautiful, Eat Lighter, Eat itsu…. If you’re done with carb-heavy dining and fed up with fat-laden fillings, then it’s time to rejoice…. 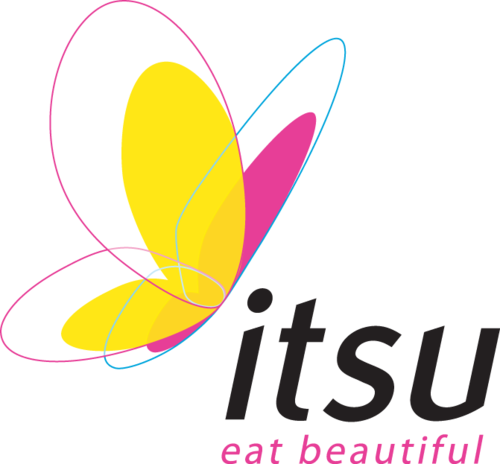 this September will see itsu, the innovative chain of healthy Asian-inspired, butterfly light fast food, launch a brand new shop in central Brighton. The new Brighton shop will be only the second itsu venture outside of London. With nearly 50 itsu shops across London and two flagship restaurants in Chelsea and Notting Hill, moving to Brighton represents an exciting step forward for the brand, which plans to open further regional sites next year. Only a handful of quality healthy eating options currently exist in the seaside city and itsu will be introducing a brand new style of light, quick and delicious cuisine to Brighton’s discerning dining crowd. Jimmy’s Farm will explode onto the festival scene on 26th and 27th July with an energetic weekend of great food, popular bands and family friendly activities. BBC chef Valentine Warner will be cooking up a storm on the demonstration stage with co- founder of the restaurant chain LEON and television chef Allegra McEvedy. Over 100 different types of beer and ale will be served in the farm restaurant which will be transformed into a Tyrolean beer keller with long tables, oompah music and a menu offering a range of Jimmy’s Farm meaty sausages. The ‘truck stage’ will be headed up by X factor winner and chart topper Matt Cardle and popular rock band Dodgy. The action packed Chipolatas Kids Zone is full of surprises with street dancing, circus skills, puppet shows, music jams and high wire challenges. This summer, food lovers from across the Midlands will get the chance to sample some of the region’s best cooked dishes and tastiest treats, as Cosford holds its annual food festival. Following on from the success of last year’s event, local businesses, including many delicious award winning brands, will be exhibiting some of the region’s finest food and beverages. With everything from organic produce to handmade indulgences and thirst quenching beverages, there is sure to be something to suit everyone’s taste buds. Taking place on Saturday 26th and Sunday 27th July, this food festival with a twist will take place outdoors with the Hercules acting as a backdrop for the food market. Suppliers from across Shropshire, Staffordshire and the West Midlands will be exhibiting a wide range of exquisite local, fresh and handmade produce not available from your average supermarket store. The ambitious vision by founder Daniel Szor for the first ever world-class distillery in the region is long-term and sustainable. It will create quality whisky, gin and liqueurs with artisan qualities and provenance, and pioneer the production of quality spirits from the Cotswolds. Whilst integrating into the local business community and countryside, and remaining true to craft brewing principles, it will fulfil commercial and international objectives that will place the region on the world map of fine spirits. This is an ambitious move particularly for English whisky, as there are currently only five English distilleries producing whisky. When summer finally comes, burgers are always a popular option, whether on the barbecue or when served with a glass of chilled champagne while escaping Edinburgh's festival fever. This makes a large amount, so would be suitable for a barbecue with friends, or you can reduce the quantities for a more refined supper for two. Method Peel and julienne the vegetables, making sure you cut them really fine. Mix the lemon juice and zest with the rapeseed oil. Mix together the vegetables, dill and caraway seeds and leave everything to rest for an hour to let the vegetables really absorb the flavour. 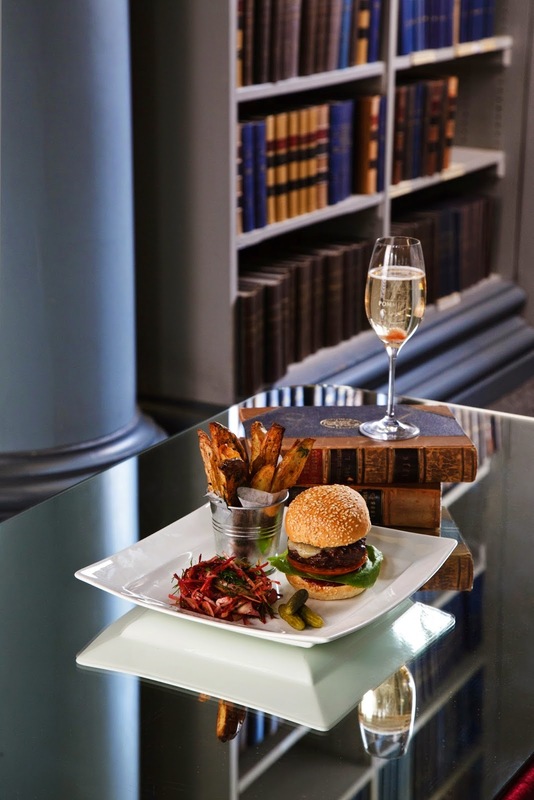 Serve piled beside high quality burgers and a chilled glass of Pommery Champagne. 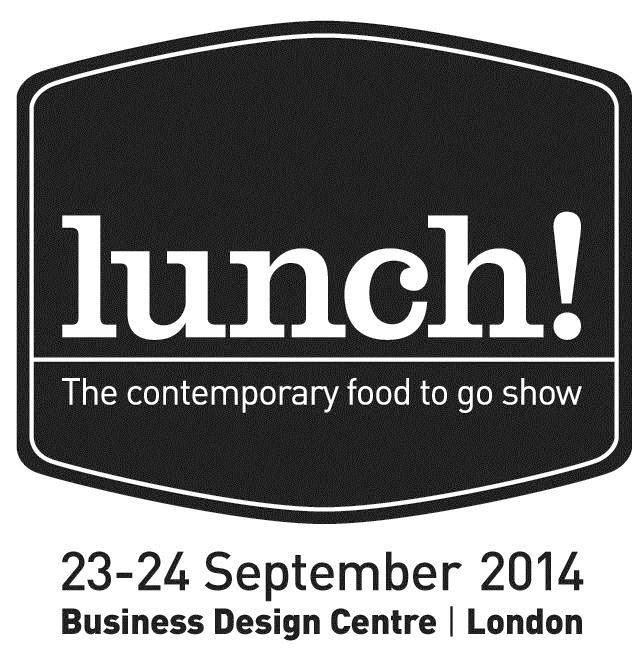 With exhibition space filling up fast for the biggest ever edition of lunch! – the UK’s premier trade event for the food-to-go sector, organiser Diversified Communications UK has released its first preview of some of the new products set to make their debut this year. Returning to the Business Design Centre in London on 23-24 September, the multi-award winning show will feature 300 exhibiting companies showcasing a wealth of new food and drink products, packaging, equipment and technologies. Ten weeks out from the show, over 98% of available exhibition space is already sold out. Whilst visitor pre-registration is at record levels, with over 6,000 attendees expected.